The Internet of Things, like wearable tech, isn't truly mainstream yet. We'd all love a smart home - the Nest heating system, the Philips Hue lights, the Sonos speakers in every room, the app controlled coffee machine. It's just so much hassle the DIY way. Every big brand wants to control the whole system. Each device has its own smartphone and desktop apps. We've lost count of the number of standards. And we don't want to spend hundreds of pounds on home gadgets that won't work together. 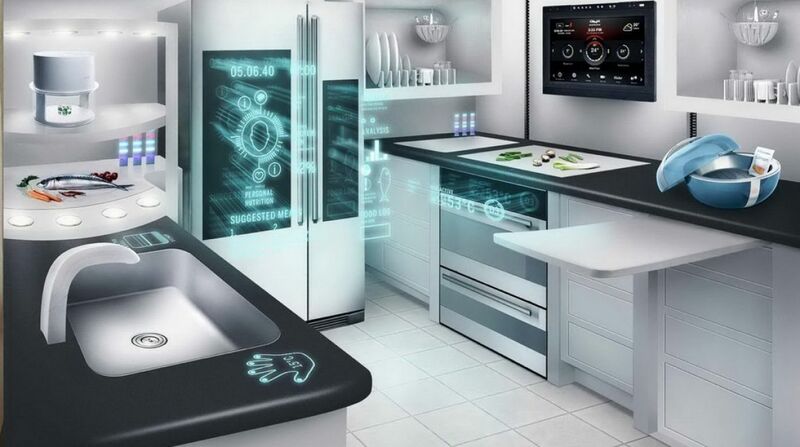 The biggie, though, one of the real reasons that the Internet of Things hasn't taken off yet is that the precise group of people most interested in controlling everything when they walk in the door or from their bed or from a smartwatch don't own their own homes. In the US, only 36% of homeowners are under 35 and in the UK, half of private renters are under the age of 34 with only 10% of homeowners, 1.4m, in the 25-34 age bracket. Why build your dream smart apartment - because more and more under 35s live in flats and apartments not houses - if you're going to move out in 12 months? That's the ethos behind IOTAS, a Portland-based company that is working with property developers to fit new built-to-let apartments with a pre-installed, smart home system. You don't own the tech, you just pay an additional fee or slightly higher rent for the privilege. And there's no upfront cost whatsoever. It is starting off with the basics - power outlets, light switches and motion sensors can all be controlled via the IOTAS mobile app which will also lets users create custom recipes based on time, your location and alerts. Smart locks, Nest and the Pebble smartwatch are all on IOTAS' radar for devices and services it would look to include once both its Portland trials of 100 apartments and the "first IoT building" including 210 apartments, a major grocery chain and other shops are complete. Sce Pike, IOTAS' co-founder, told Wired that in the future her company is also looking to help retrofit existing rented apartments, not just new builds. It's not clear at this stage how much freedom the system allows - ideally you would be able to add devices to customise the experience. IOTAS isn't the first to provide ready-made smart apartments. LockState Connect offers apartment buildings in Denver with pre-installed smart locks, thermostats and plugs with motion and water monitoring sensors coming soon - though in this case, the devices and apps have got some bad press in user reviews.